Two scientists give an enthusiastic, layperson's overview of a new supermaterial now in development that could transform many features of daily life, from creating new conveniences to improving health and safety. What if you discovered an infinitesimally thin material capable of conducting electricity, able to suspend millions of times its own weight, and yet porous enough to filter the murkiest water? And what if this incredible substance is created from the same element that fills the common pencil? That's graphene-a flat, two-dimensional, carbon-based molecule with a single sheet measuring only one atom thick. In this layperson's introduction to this revolutionary substance, a physicist and a chemist explain how graphene was developed, discuss the problems in scaling up production for large-scale commercial use, and forecast the potentially transformative effects of incorporating graphene into everyday life. Recent research developments include adding graphene to Silly Putty to make extremely sensitive and malleable medical sensors and compressing and fusing flakes of graphene to create a three-dimensional material that's ten times stronger than steel. This widely adaptable substance promises to change the way we interact with smartphones, laptops, information storage, and even condoms. It may also enable significant improvements to air purification, water filtration technologies, and drug delivery. 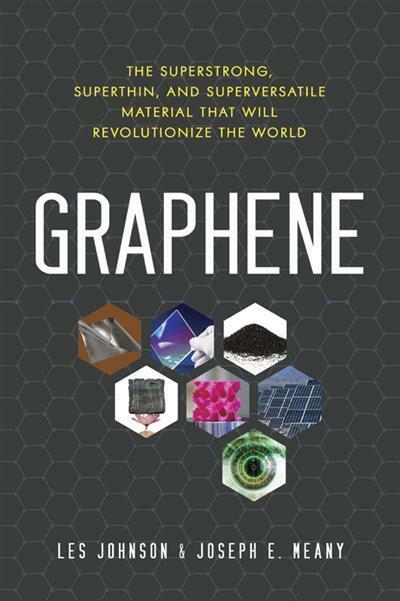 This entertaining and widely accessible book offers a fascinating look into one of the most exciting developments in materials science in recent decades.